Although I'm not a huge fan of Daniel Craig as James Bond, and I highly resented the (spoiler alert!) removal of Dame Judi Dench as M, I did enjoy Skyfall for a couple of reasons, one of which was the makeup on Severine (played by Berenice Marlohe). It was very dark, sultry and vampy - which helped to shroud her in an aura of mystery. Those lips... and that smokey eye...!! Dark, burgundy and wine shades have always been associated with fall. They are an easy way to amp up your look - a neutral eye and burgundy lips make for a striking look. 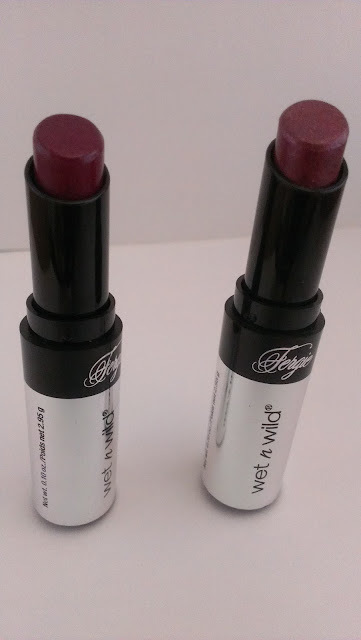 If you're looking to add some wine shades to your collection, or if you want to look like a mysterious Bond girl yourself, but don't have deep pockets - might I suggest the Wet n Wild Fergie Collection shades in Ferguson Crest Cabernet and D-vinely Chilled? The packaging is nothing to talk about; it's a plastic silver and black cover with a clear cap. It does feel cheaply made, and attracts fingerprints. The top of the cap has some sort of crest/symbol/sign to indicate it's part of the Fergie Collection. 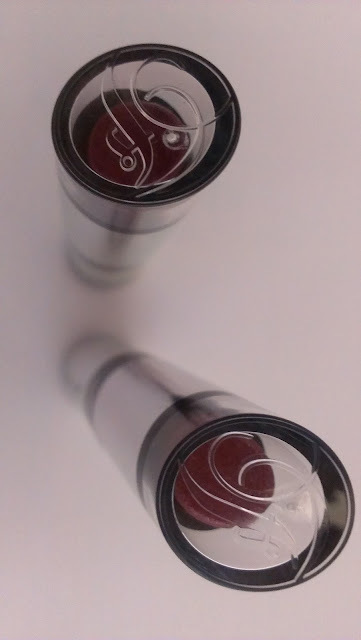 My biggest gripe with these lipsticks is that the bullet doesn't swivel all the way down into the tube. Because if this it's going to be fairly easy to nick the bullet with the cap. The color is a deep wine-berry shade. 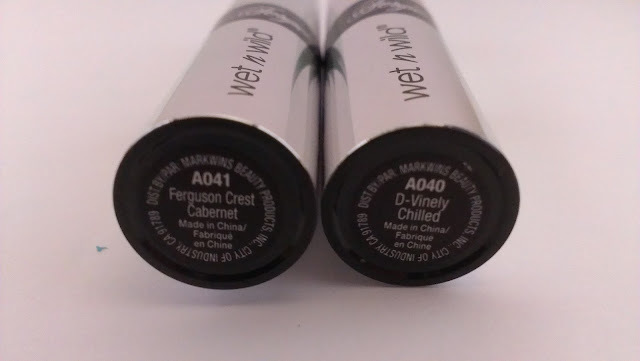 Both shades are similar to each other, however D-vinely Chilled has shimmer throughout it, while Ferguson Crest Cabernet lacks any shimmer. 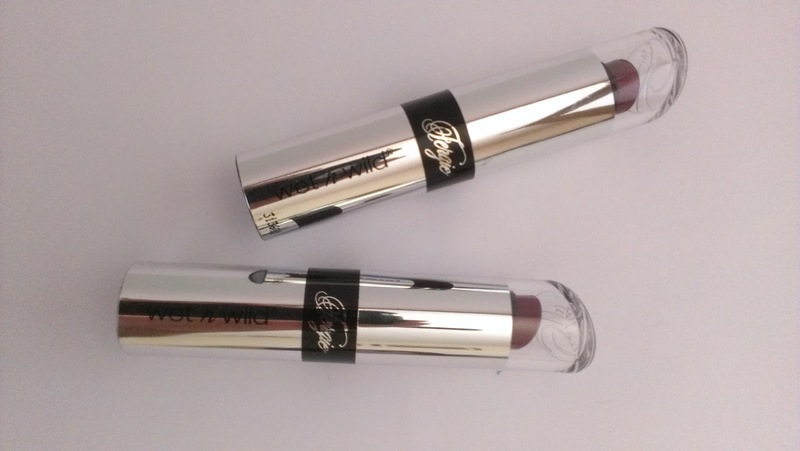 Both shades have a cream formula in nature. 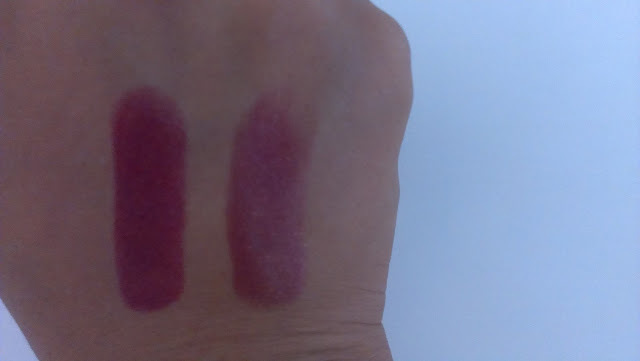 Both shades cover the lips completely with one swipe. They apply smoothly, but D-vinely Chilled tugs mildly at the lips. They don't sink into lip lines, but they have a drier formula than the others I've reviewed. The formula isn't hydrating, but doesn't supply moisture to the lips either. Exfoliating the lips an prepping them with lip balm prior to application is a must. It's also advisable to use a lip liner so that the color doesn't feather and bleed. D-vinely Chilled does feel slightly gritty due to the shimmer, but it's not very noticeable. Wear times for both average about 3.5 hours without any eating. 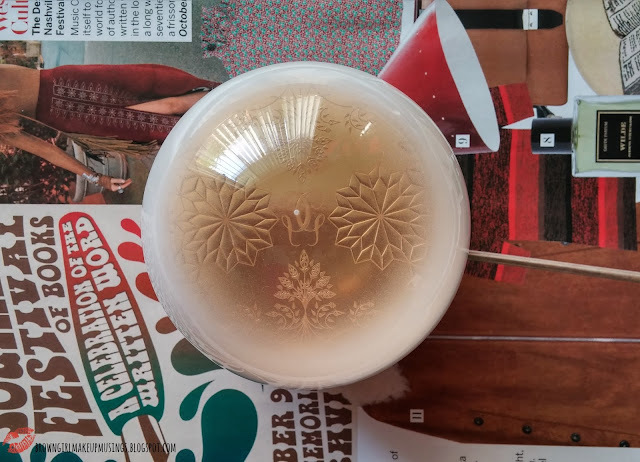 As you can see from the swatches Ferguson Crest Cabernet appears darker than D-Vinely Chilled, but that's only due to the shimmer catching the light. I really like the color of both. The formula may not be the best I've come across. but I think it's a great way to experiment with deeper shades. 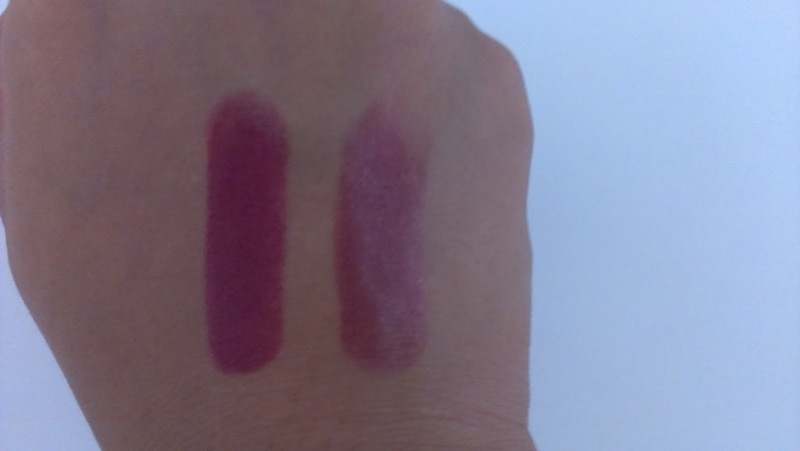 These can can be worn sheerly (apply, then blot your lips) or as intensely as you'd like. D-Vinely Chilled may scare a few people because of the shimmer present in it, but rest assured it isn't the kind that is very prominent. It's actually very pretty! Overall, these are worth a try. It's a nice way to try out the deeper fall shades.